I used to eat fruity ice pops for breakfast. At the time, I was living in the former swamp known as Washington, DC, where the summers are thickly humid and impossibly hot. My office was about an 8-minute walk from my apartment, which doesn't sound too bad, but in that thick damp weather it was a challenge trying to find a way to get from my home to my desk without turning into a puddle. I started out by styling my hair up and wearing the lightest clothing possible. I would forget about putting on make-up until I arrived, since it would all melt off en route anyway. And, instead of coffee, I'd grab an ice pop for the road...enjoying the icy coolness while I walked down the street. I no longer eat them for breakfast, but as the days heat up, ice pops have become a favorite snack around our home. 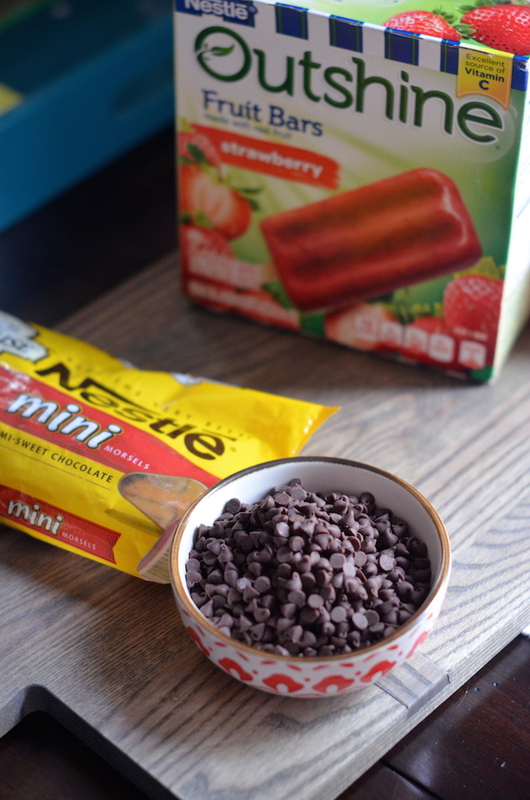 A few years ago, I did a sponsored post for Outshine Fruit Bars featuring some fun ways to serve them, and since then, they have become a mainstay in our freezer. Made with real fruit juice and minimal amounts of additional sugar, they're light and refreshing to cool down at any time of day. Eugene, especially, is a big fan, asking for them the minute there is a hint of warm weather. When I was given the opportunity by Nestlé and ElMejorNido.com to work with them again this Spring, I jumped at the chance. The only challenge? Keeping Eugene away from the freezer until I could finish my recipe and photographs. I was actually working in LA last week, during which I kept checking in with him via FaceTime. "You haven't eaten the Outshine bars, right?" While awesome served as-is, I also came up with a fun idea for this summer. 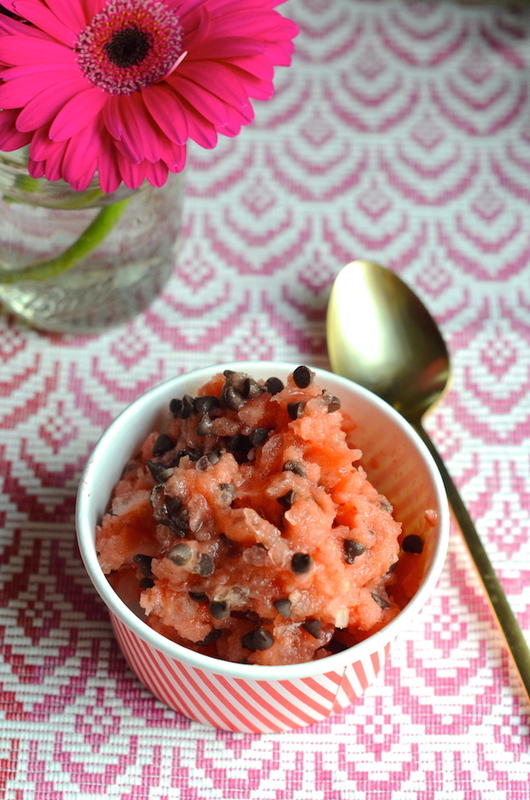 Whisked up in a food processor with a few ice cubes, they make for an easy "cheater" version of granita that can be enjoyed with a spoon while watching TV or hanging out in the sunshine. 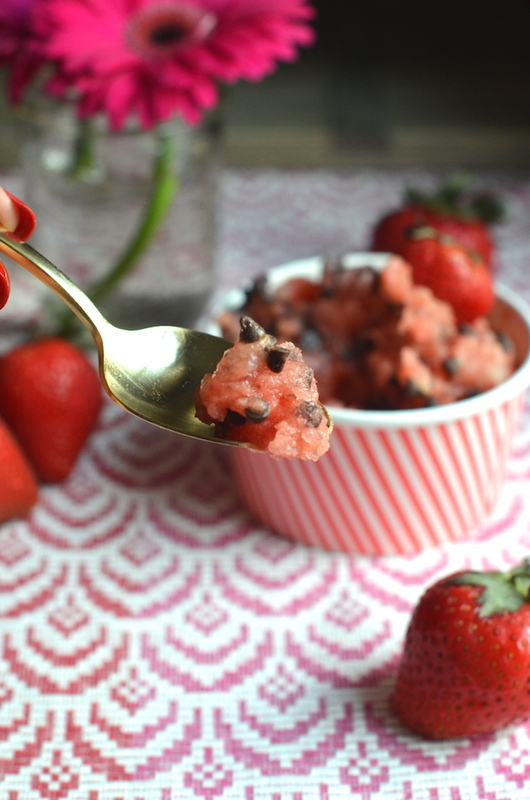 I stirred in a few of my favorite mini chocolate chips for a chocolate-covered strawberry feel, though you could totally have fun with your favorite mix-ins and flavors. Maybe mango with grated coconut? Or tangerine with chopped pecans. So many things you can do. Have fun it's (almost!) summer. 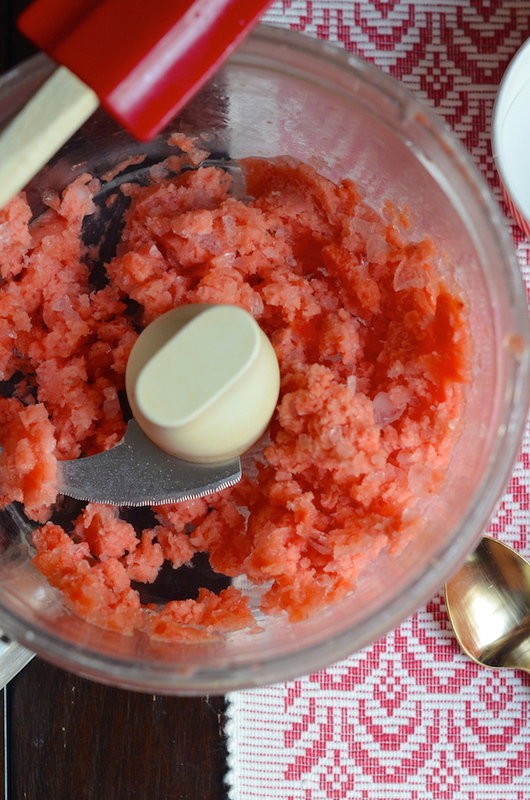 To give you a head-start on your summer fun planning, I'm also giving away a $50 VISA gift card to cover ingredients. To enter to win, leave a comment below telling me your favorite thing about summer. Contest ends at 5PM EST on June 1, 2015. US residents only. No purchase necessary. One winner will be randomly selected via random.org, and notified via email. 1. Follow me on Instagram (@alwaysalejandra) and leave a comment here saying you did. 2. Share this contest on Twitter, and leave a comment here saying you did. Sample text: "Giveaway! Enter to win a $50 VISA gift card from @nandita and @elmejornido: http://bit.ly/1FdscAC"
3. Share this contest on Facebook, and leave a comment here saying you did. 4. Pin one of the images from this post to Pinterest, and leave a comment here saying you did. This post is sponsored by Nestlé and ElMejorNido.com, but all recipes and opinions are 100% my own. For more great recipes and ideas, visit ElMejorNido.com.